Our move is complete. We have arrived in San Francisco! And I can now say with much certainty, that San Francisco is clearly the mac-daddy of all cities. Our move from Australia back to America was a whirlwind of chaos, and stress, and fun, and rekindlings. Our now 7 & 8 year old boys, had some quality time with their massive posse of first cousins. I Starbucked with my sister-in-law, Too-Jayed with my in-laws, and LiveLoveYogurted with my mom and our babysitter, who came us from Australia to help push me through the insanity. Come on, let's be real, is there ever really down-time with two little "energetic" (that's the nice word for it) boys? "Mommy, mom, mom, mom, Mommy, I need you. Mom, can I show you something? Mommy, do you have treats? Mom, mom, mom, mom, maaaaah-m," What??????? What? What? What? "Oh, I forgot what I wanted to say." 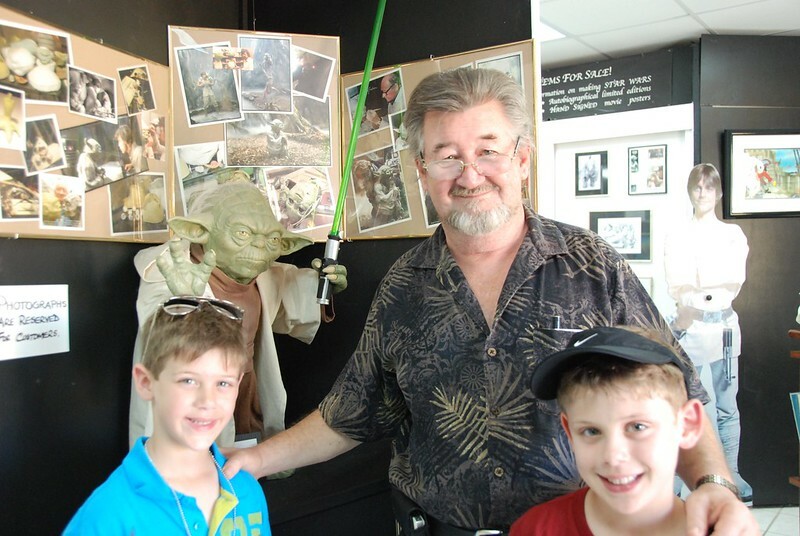 In St. Maarten we visited an awesomely strange museum/shop of sorts called The Yoda Guy. This hidden little, hole-in-the-wall is owned by a British gentleman who designed the character Yoda (as I understand it). And if you buy something, he'll let you walk through his personal collection of movie props and paraphernalia. This is "The Yoda Guy" and our boys. When we left, there was unanimous agreement that he looked very Yoda-esque, in a dogs-and-their-owners-who-look-alike kind of way :) . 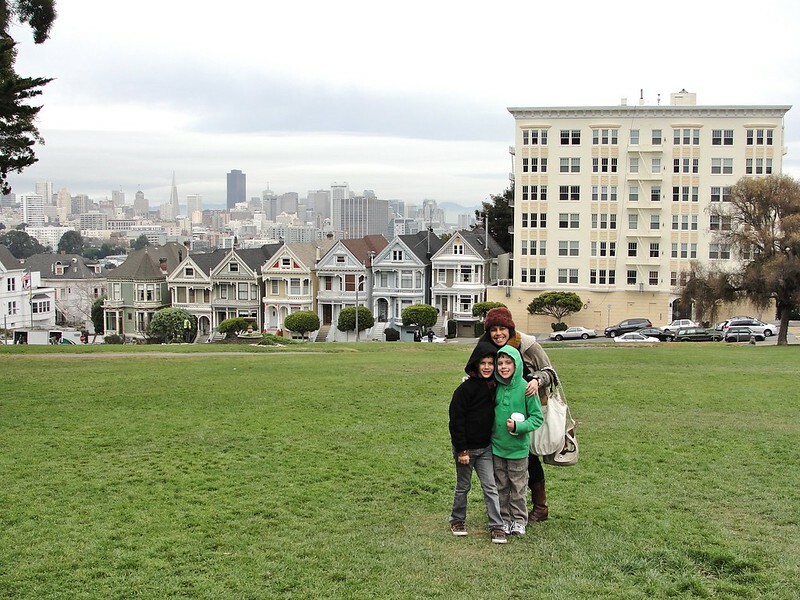 Anyway, about six weeks ago we finally landed in San Francisco, and we are loving it. Based on the places we've lived (and you know there's been a few :) my first impression is that San Francisco has the topography and landscape of Sydney, with the friendliness and swagger of Dallas. We are living on a real, live mountain!!! Okay, okay, there is the distinct possibility, it may-- I mean MAAAY be... a hill. And there are deer in the neighborhood. And there are plum, loquat, lemon, and Fuji apple trees in the backyard of our house. Seriously, we have all of those in our backyard! Not to mention the kiwi and grape vines-- and the tomato plant I bought at Costco that I am clearly incapable of watering properly. 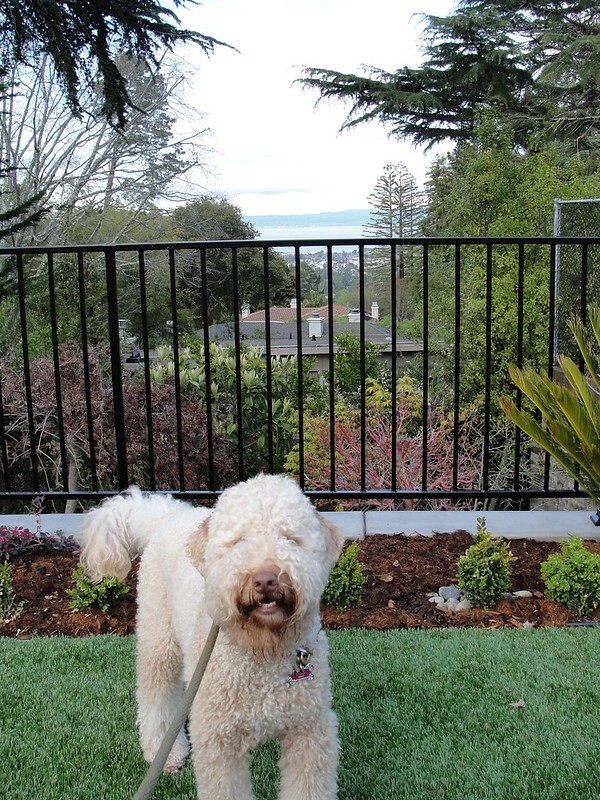 Ruby the Labradoodle, taking a big whiff of cool mountain air, while standing on the astroturf in our backyard with a view of San Francisco Bay in the background. Apparently in Northern California, fake grass is the new black. Incidentally, Ruby is the only family member who, six months after arriving in America, still has her Aussie accent. 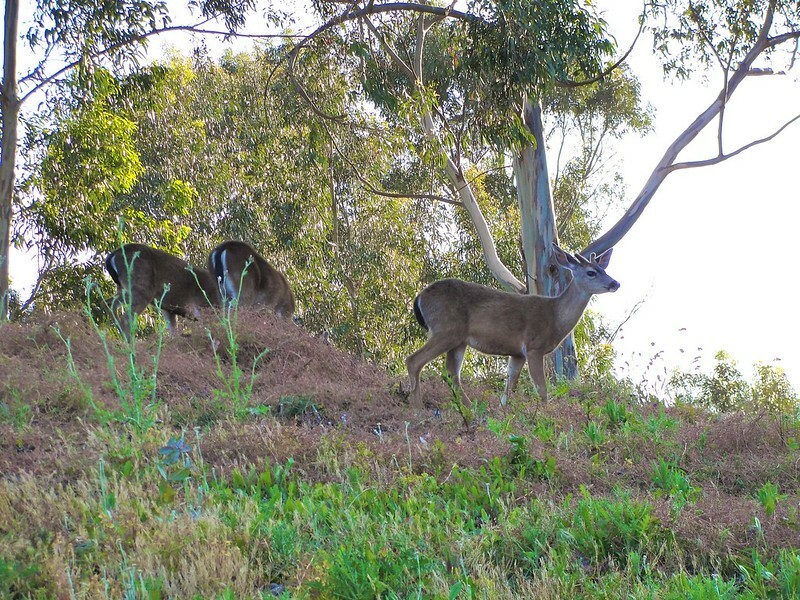 Three deer in someone's front yard yesterday. And after all this traveling and moving and adjusting, I barely want to leave the house these days. I still haven't even seen the Golden Gate Bridge, yes I know, that's crazy. But the good news is, I have left the house to enough to have eaten countless tacos and drank some delicious bubble/ boba tea drinks around town-- I may be feeling tired and lazy, but a girl's got to have her fix. This new adventure has been more than I could have imagined so far-- and I am considering that I may need to start up the whole blogging thing again... it's been a while but, hot damn, San Francisco has some stories in store for me... I can feel it my bones. Hmmm, or was that a mild earthquake? yayayayayay! please keep blogging, i don't want to lose touch with what you are up to!!! im so glad youve moved to another city that you love, but Australia will miss you! Did you go and watch a screening of funniest home videos while you were still here by any chance? swear i just saw your hubbie and kids in the audience!!! That is sooo funny and you're not the first person to think you saw us/them out and about! But no-- unfortunately we didn't get to do that, but it does sound like fun, haha. OMG you really do have a doppelganger family! Crazy!!! Yay! Welcome home!!! Can't wait to hear all about the transition. So glad you are loving being back home!! I've struggled since the day I stepped foot on the plane to come back. I miss Australia terribly. And funny you don't have an Aussie accent...we've been back about 8 months, and only lived there for 1.5 years and I STILL get told I have an Australian accent on a very regular basis. I suppose that's because I'm in TN where everyone is expected to have a southern accent. Bakers-- we need to Skype!!!! Yes, definitely keep on blogging! I have only just recently begun to follow you (within the last year) & am interested to see how your repatriation goes. Congrats! I've been back in the USA since early January. I'm now in Portland, Oregon, where 20-somethings come to retire. I don't have an Aussie accent after 3 years in Sydney, but I did go up to a group of fellows at a restaurant in Vancouver, WA and ask, "Is this the end of the queue?". Did I mention that someone threw a rock at my head in front of the railway station in Kalgoorlie? Like I don't have enough rocks in my head already. ozaussieoz- Your blog is really awesome, I mean REALLY awesome, congrats on your awesomeness! for real. Portland is a lovely, happening kind of place. Just a wee bit too much rain (again today!). I was in Oz for a job at a startup, and for the adventure of living abroad. Glad to be back in the USA, though. I never did develop a taste for Vegemite. In fact, I may take a job on the Peninsula south of San Francisco. Steck- the friend is gorgeous-- and married with 3 kids! haha We are on the peninsula-- working for a startup, well sort of a start up you could say. We love it here! More specifically, the job is in Palo Alto. I hope all the newly-minted Facebook millionaires don't push up real estate prices too much. does this mean you have to change your blog title from "Florida Girl fro Sydney in San Francisco"? Rasslemcdazzles- I am still working on what to change the blog name to... help?? (Sitting on) The Blog of the Bay? Hello! I just discovered your blog via "The Yellow Brick Road" where you commented on her Dover post. Confusing? I then clicked on your name and read your SF post and a few others. Anyway! Just wanted to say hello. We used to live in the Bay Area (Pleasanton in fact) and are now living in Austin TX. Even that can be a culture shock. I hope you enjoy SF. Make sure you take a tour of Alcatraz. 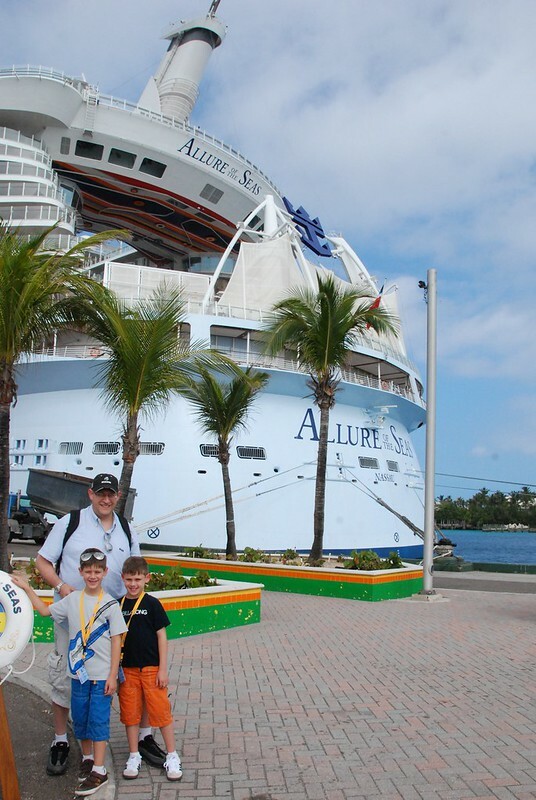 Very interesting and the boys will like the boat ride. How long will you be in SF? Any further moves planned? I am so excited you moved to San Francisco. I USED TO LIVE THERE, AND IT IS AWESOME. Hooray! I've found Lots of necessary information from your blog. Just bookmark your blog for more explore! I will definitely share this post with others. Thanks for sharing. Nusa Dua Hotels ,and Sanur Hotels. Or if you want to get holiday in Phuket, you can book from Phuket Hotels , Patong Hotels booking online,and Istanbul Hotels Turkey for Istanbul Turkey Online reservation.. Thank You. I'm happy and enjoy your post :) Travelling is really beautiful, I love it and can't imagine my life without it!